Pakistan’s current conditions are far from encouraging, as the government struggles to combat extremism and continues to fall short of addressing the needs of the common man. Citizens can even be forgiven for embracing revolutionary doctrine in hopes of changing the fortunes of the nation. However, when hyper-nationalism aligns itself with ignorance of history, we are led to an ideology that is flawed, distorted but most importantly tried and tested. 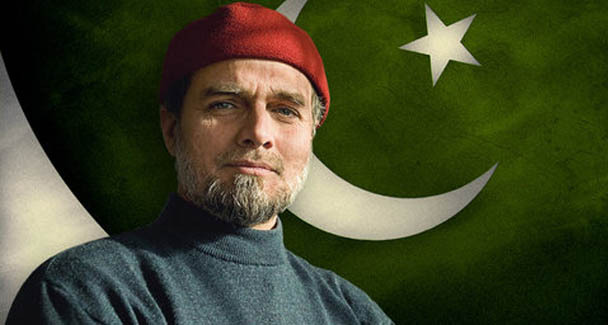 Zaid Hamid has persistently advocated for the dissolution of the elected government in favor of a caretaker government selected by the Supreme Court with the military’s backing. A brief analysis of our nation’s history shows Zaid Hamid’s philosophy to be far from revolutionary. General Ayub Khan held the same values when he (along with Iskander Mirza in 1958) dismissed the elected government, dissolved the constitution (with the blessing of the corrupt judiciary) and established the infamous “basic democracies” system. This political structure’s shining moments included a vicious election campaign against Fatimah Jinnah and the eventual disintegration of East Pakistan. Zaid Hamid’s caretaker government in all likelihood would only prolong military rule, reduce political participation amongst the people and corrupt a judiciary that is currently redeeming itself from its past sins. The judiciary refrained from endorsing a theory of a Nation-State that catered around subjective Islamic morals and standards. It is no coincidence that a military ruler was responsible for invoking such subjective morals into the constitution. The judiciary and the military cannot work synonymously over stretched periods of time, as General Musharraf’s demise in 2008 showed. The military has been unable to select a lawmaking branch that has satisfied the people’s needs over a stretched period of time (Basic Democracies and the Majlis-e-Shoora). Zaid Hamid desperately seeks the creation of a political structure that established itself long before any organic political order developed in Pakistan. Allowing such an order to establish itself yet again would eliminate any lingering hope of sustained democracy in Pakistan. This entry was posted in Blogs and tagged Army, Ayub Khan, democracy, fatima, jinnah, pakistan, Supreme Court, zaid hamid by Ali Chughtai. Bookmark the permalink. Thank you so much for your insight. I was not aware that the Punjab Disturbances Report had so adequately and completely addressed the subjective requirements of being a good Muslim. If we can stop fooling ourselves as a nation and only take an honest look at our history, we will see for ourselves what has been tried before, what works and what doesn’t work. people who don’t learn from their history, their geography changes. Zaid Hamid is the future of Pakistan. @Ali Chughtai: Justice Munir was a qadiyani who for the first time in the history of Pakistan ruled in favour of Malik Ghulam Muhammad, the then Governor General Pakistan against a petition filed by Moulvi Tameezudin pleading against the dissolution of National Assembly when Khuwaja Nazimuddin was the Prime Minister. Justice Munir upheld the decision of Governor General Malik Ghulam Muhammad about the sacking of Prime Minister Kh. Nazimuddin. So stop doing propaganda against people like Sir Zaid Hamid who are the star of the nation. If you still go for it, then perhaps who knows, you also follow the faith of your favourite Justice Munir. @ Ali Chughtai: Justice Munir was the chief Justice of Pakistan Chief Court Karachi, and is still considered a ghaddar (betrayer) of Pakistan by many. Naeem, I appreciate your input. Indeed, Justice Munir was also the one who legitimized Ayub Khan’s coup in 1958 and invoked the “doctrine of necessity.” However, this article is linked to the Punjab Disturbances Report of 1954, in relation to how religion can be exploited to invoke political ends(1953 anti-Ahmadi riots). The 297 page report remarkably describes the predicament of an Islamic State. I would suggest reading pg. 185-230 to get an idea of the state of affairs of Pakistan and religious exploitation back then. And this report was not composed by him alone, but was done under the Governor of Punjab with Justice Kayani also a member of the inquiry report. This is what I worte on Zaid hamid’s facebook which was deleted. I always use to wonder why people in power or those who can bring in changes like CJ won’t listen to you. I think now I am getting an answer. I know that you will simply ignore my comments as you have done before. Or you tag people like me as stupid or to a greater extent traitor. You have always been doing this to others. Whoever says anything slightly different than what you say, you will say they are against Pakistan and those who fall in your line are “emohibb-e-watan”. I am a proud Pakistani cancer surgeon and live in London. I have tried several times to come back to Pakistan and serve people there. But your system doesn’t allow me to do so.. Let it be like this but this should not stop me from wishing well to my motherland. Now coming to present topic. I got interested into your blogs and talks e.t.c thinking that you have some serious solutions to the existing problems Pakistan is facing. But you are turning out to be a buffoon (I am sorry if it hurts you, but that’s what I perceive of you now). No wonder why courts are not ready to hear your cases. You compile media reports as evidence against people and ask the court to punish them. Please spare the courts. They have many serious jobs to do.. You are a security analyst. Bring some credible evidence against the traitors. Or else don’t crib about media or Cj or anyone else. I totally agree that a caretaker government might solve the problems due to bad governance and corruption. But how would you select the people who will rule our country? You mean Gen. Kayani will send a list to CJ and mutually they will pick some from the list?? Or a religious body will be asked send the list of Mullas to CJ and Gen. kayani ? Why the country should believe in the wisdom of few. Moreover CJ or Gen. Kayani or you are not Nabi-e kareem(Swm) that we accept them with out questioning. This is a serious flaw in your proposal. You must understand that being “clean” or patriotic are not just the criteria to rule a country. The most important attribute to a ruler is acceptance from the mass. The entire country has to accept the leader or else there will be civil wars, social disobedience. We have had seen such examples in our own modern and medieval history (Hzarat Ali). Hazrat Omar(RA) was a leader accepted by the mass. Hence he could rule with his own terms. So next time when you talk about government of technocrats think of how to implement it. Next coming to 4G war. If 4GW is a reality then why there is no mention of this terms either from the Govt. or from Gen. Kayani or from ISI, ISPR ? Are they sleeping? Ok you might say that we have corrupt leaders and hence they keep quite but what has happened to the military? If, according to you, the country’s survival is at stake due to 4GW then our security establishments should fight tooth and nail against it. There is a civil war going on primarily due to our own mistakes, which are being exploited by hostile neighbors. This is the reality and our military is bravely fighting a holy war against it. That’s the reality. Coning fancy terminologies is not rising to wisdom. You always say within few days (sometimes few months) a nasty war will begin and Pakistan will be attacked from all the sides (This is there even in your 2009 youtube videos). To that you add “ we will remains a witness to this “.. This has never happned and Inshallah will never happen. How many times Zaid sb you will persent such cranky theories? On your facebook you had posted a finicky theory of London being attacked during Olympics. It was huge laughing stock in our own Pakistani community in London. This time you have said that elections will bring civil war eventually helping enemies to demolish Pakistan. I am telling you now in next few months there will be elections and after that there will be no war other than what is happening already (like in Karachi). Inshallah! Our country will remain intact and prosper. Inshallah! I will be alive to verify my statements. Please for the sake of Allah (swt) stop intimidating people with your hocks. Sir Zaid Hamid is indeed right!